Germany’s two largest publishing houses for cartoons and humor cooperate: a new publishing partnership is formed in Hamburg. German publishers Carlsen and Lappan used to be rivals, but now they have joined forces. Retroactively as of January 1, 2015, Carlsen (based in Hamburg ) will take over the cartoon and humor program of Lappan (based in Oldenburg). Lappan will keep its branding and editorial independence with Dieter Schwalm, Lappan’s co-founder, in charge of all editorial decisions. Distribution will be handled via Carlsen. The resulting joint venture will be the largest German publisher of comic books and cartoons, with authors such as Uli Stein, Ralph Ruthe and Joscha Sauer. 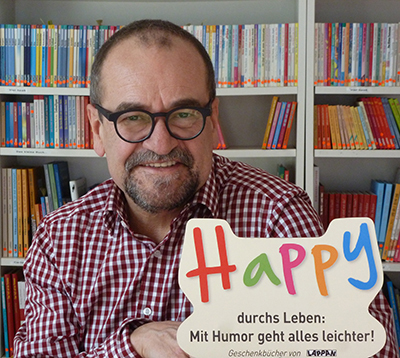 Lappan was founded in 1983, quickly becoming the most successful publishing house for cartoons and humor in Germany. Before joining forces with Carlsen, Lappan was owned by Vienna-based Salzer Holding, with Dieter Schwalm and Thomas M. Salzer as joint heads of the management board. Salzer Holding is a financial holding company for several companies, active in areas such as paper manufacturing, polymer processing and real estate management. Carlsen, founded in 1953, belongs to the Swedish Bonnier Group and is one of Germanys most well-known and successful children’s publishers. Carlsen publishes authors like J. K. Rowling, Stephenie Meyer and the famous Pixi books. 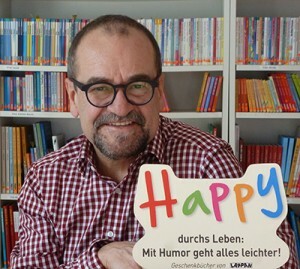 Due to a series of strategic mergers, including Xenos and Terzio, and the start of several new imprints, both digital (Carlsen Impress) and print (Königskinder), Carlsen is now one of the most diverse children’s book publishers in the German-speaking market. With the new partnership with Lappan, they are the market leader in the humor and cartoon sectors as well. “We’re extremely happy that this partnership has led us to become the leading cartoon publisher in the German-speaking book market by far. We believe it will allows us to continuously develop this niche of the publishing market,” says Joachim Kaufmann, Managing Director for Carlsen. Ingrid Süßmann is a Junior IT Project Manager at Droemer Knaur in Munich, Germany. She previously worked as Author Relations Manager for neobooks, and has held various positions at Random House Germany and Carlsen Verlag. In addition to her work in book publishing, Ingrid is also a certified beekeeper and fan of baby donkeys.